Prezentare (Book). From the publisher of Electric Bass Guitar comes Bass Heroes interviews with 30 of the world's greatest bass players. It's a collection of interviews spanning the past 25 years, adapted from Guitar Player magazine. The interviews here feature some of the best players who ever lived, regardless of stylistic leanings. Divided into rock, jazz, studio and pop, and blues and funk, all the greats are included...from Monk and Montgomery to Paul McCartney to James Jamerson and John Patitucci. 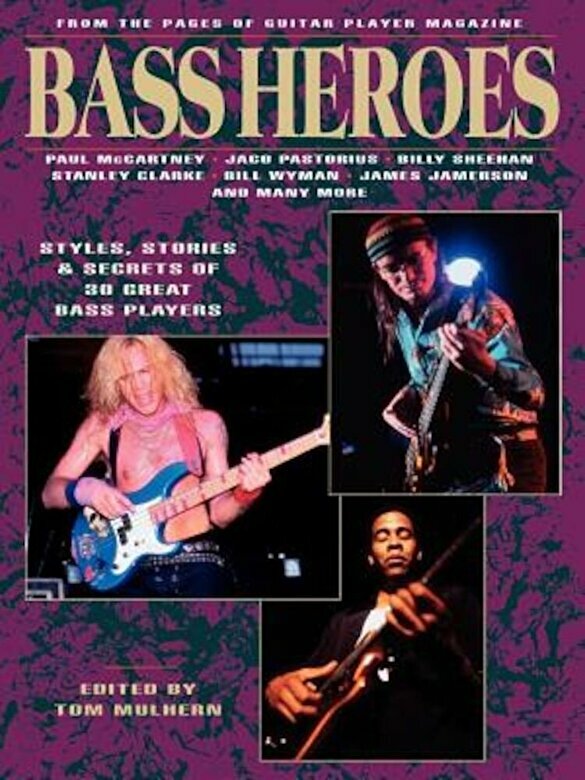 This book also features private lessons with luminaries such as Billy Sheehan. These select musicians come alive in their own words as they discuss topics ranging from early musical influences to unique playing and recording techniques and their favorite basses and amps. 8-1/2 X 11 . 208 pages. 30 photos.